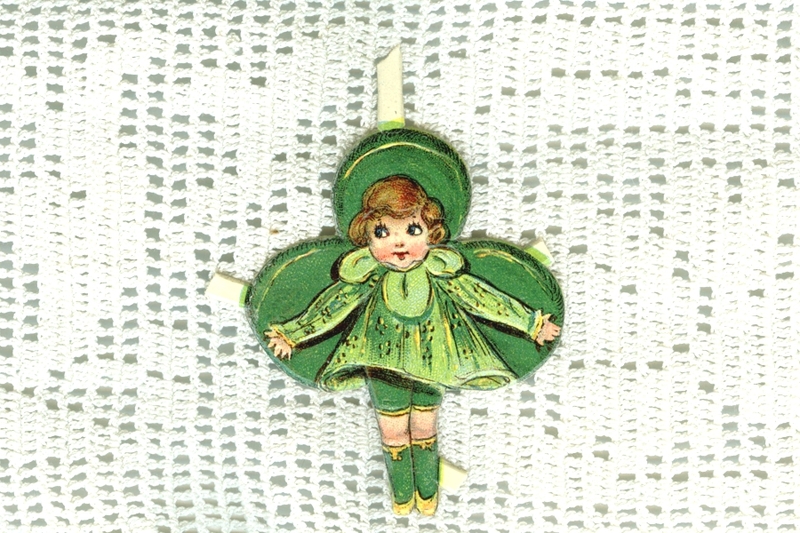 Our sweet little Irish lass is perfect for a gift tag on that special Celtic gift for himself or herself. 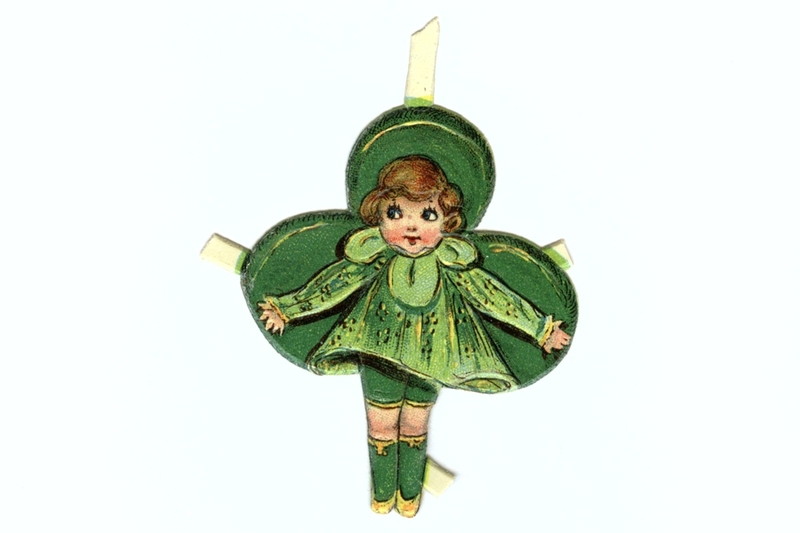 She is standing in front of a shamrock that is ever so much larger than she is! This vintage scrap is printed on heavier paper than the scraps today, making it more versatile, too! Although she is vintage, our little lass is quite sturdy. The original connectors are still on the little scrap, so that you can trim the edges to your liking. 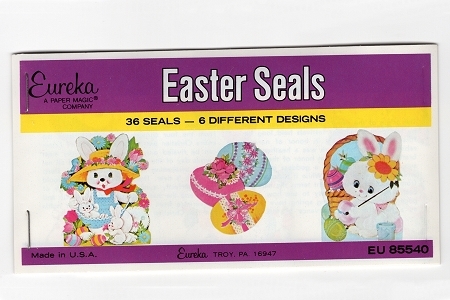 Each motif is 2 inches high by 1-5/8 inches wide. This little die-cut was made in the 1930s by the K&L Company. Of course she could easily embellish any St Patrick's Day card or artwork. But, we thought she'd be fun for the lucky person who orders her!